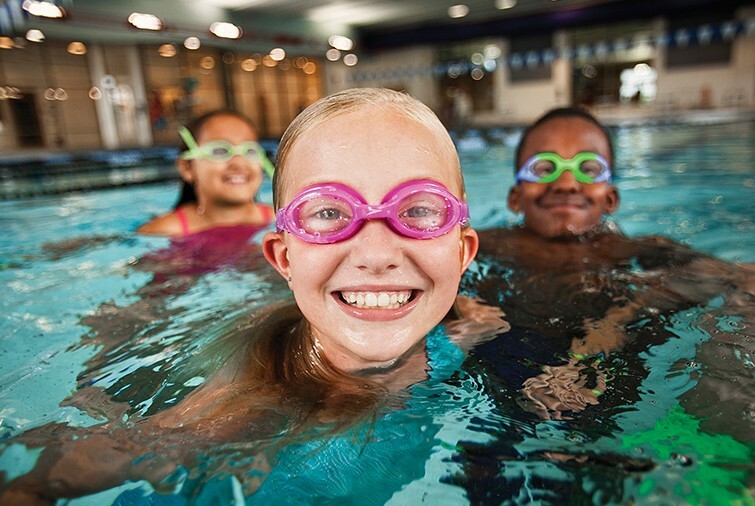 There is a reason the Y is referred to as America’s Favorite Swim Instructor. In Y Swim Lessons, not only are you taught how to swim, but you also learn about yourself, about safety and rescue skills, and about water activities you can enjoy for a lifetime. Instruction is caring and personalized. A variety of classes are available to meet your family’s needs. Class size is determined by considering safety factors and the age of the participants, making sure classes don’t get too big to be uncomfortable. Formation: Minimum of 3 students required for class to start. Schedule: Classes meet twice a week, for four weeks. 8 classes in total. Placement: Students will be grouped the first day of lessons, based upon skill level. Cancellations: Missed classes will not be made up. If weather or a pool closing forces cancellation of a class, the class will be made up on a Friday. Locker Rooms: Families with children are asked to use the Family Restrooms for changing clothes, no youth allowed in Adult Locker Rooms, and no adults allowed in Youth Locker Rooms. Ready to register? CLICK HERE TO REGISTER ONLINE OR print the forms below and bring to the Y.